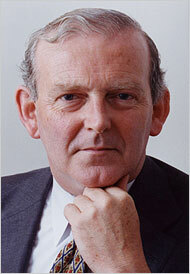 Paul Kennedy is a British historian best known for his internationally bestselling 1987 work The Rise and Fall of the Great Powers. His newest book, Engineers of Victory: The Problem Solvers Who Turned the Tide in the Second World War, has been released to almost universal critical acclaim. As its title suggest, the tome details how unsung innovators and organisers drove the Allies to victory in 1945. David Edgerton, founding director of the Centre for the History of Science, Technology and Medicine at Imperial College, London, wrote an in-depth review of Paul’s book for the Financial Times. You can read David’s review by clicking here. To purchase a copy, please click here. If you’d like to book Paul for a speaking opportunity, please email Alex Hickman.